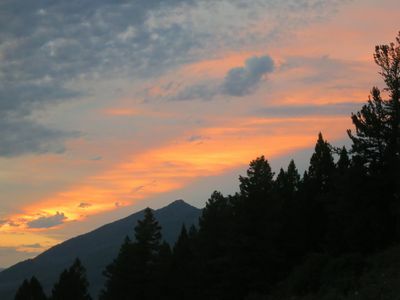 Imagine waking up to thousands of acres of national forest wilderness out your front door. 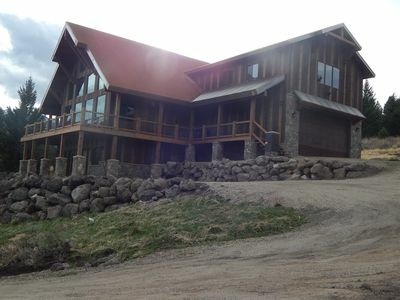 Deer, elk, moose and many other birds and beasts may wander by at any time. 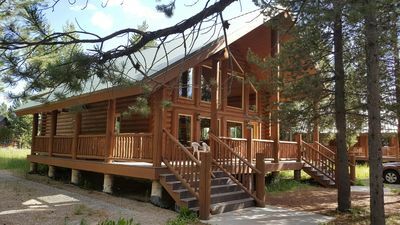 This precious cabin offers you a comfortable high mountain experience protected from the wind, rain, cold, and insects. 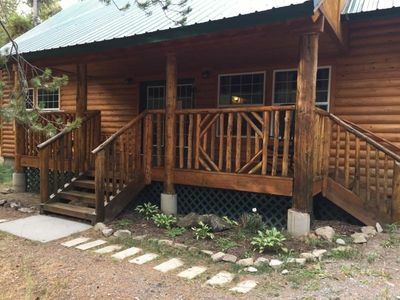 Located on acres of trees and flowering meadows and surrounded by the Targhee National Forest, the spacious deck offers you the perfect venue to take in all the sights and sounds of the Yellowstone high country. 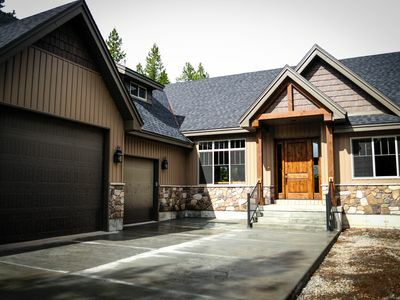 Take a walk down the driveway to view the Tetons, Henry's Lake, Snake River, Centennial Mountains, Meadow Creek wildlife reserve and the Yellowstone plateau. Witness incomparable sunrises and sunsets. 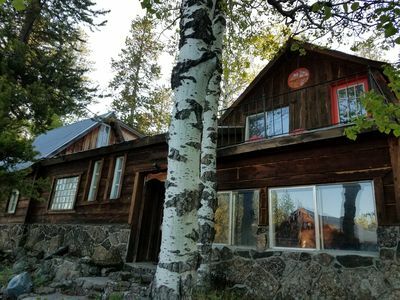 Surreal, serene, quiet, peaceful, exciting, magical, etherial, and transcendental are some adjectives used by our guests to describe our high mountain adventure ambiance. 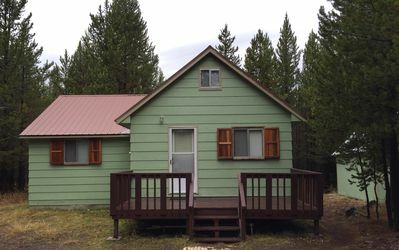 Each day one is able to choose any of the numerous nearby outdoor activities or picnic in Yellowstone National Park which is only minutes away. 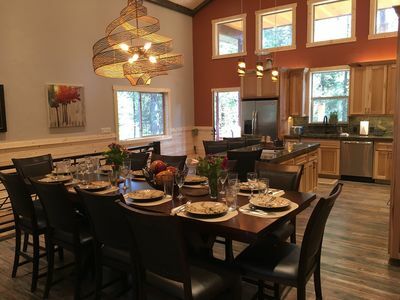 In less than two hours you are able to visit Grand Targhee ski resort, Jackson Hole, Grand Teton National Park, St. Anthony's sand dunes, Virginia City, or Big Sky. 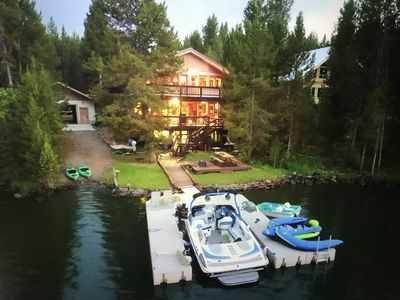 Of particular interest are the hundreds of miles of bike and snow mobile trails that begin at your back door and the world class fishing found on henry's lake and the snake river. 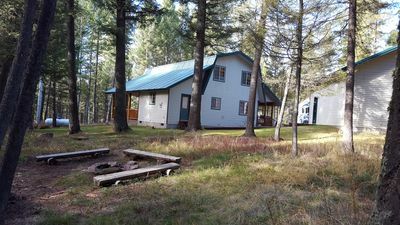 Please note, you will have to walk downstairs to access the bathroom as our cabin is built into the front side of the property's 1300 building; ourVRBO property 239561 shares the same 3-acr lot but is not seen from our High Mountain Adventure cabin. 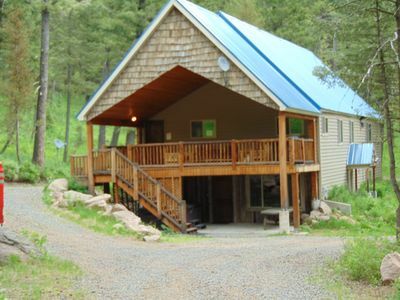 We do not recommend our High Mountain Adventure for older folks who don't like stairs, mountains, or adventure. 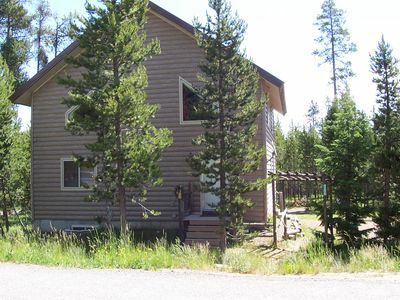 We would like to point out how convenient High Mountain Adventure is to Yellowstone Park. There are 5 entrances to the Park. How long of a drive is it from the nearest town to Old Faithful? : South-Jackson 2:08; East-Cody 2:30; Northeast-Red Lodge 3:36; North-Gardiner 1:33; West Yellowstone 0:50. 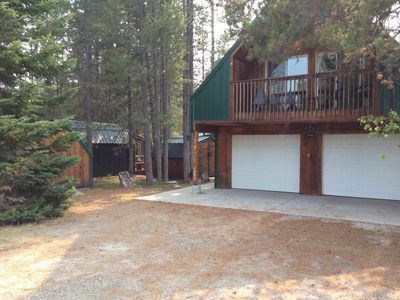 95% of the VRBO HOMES in the West Yellowstone market are over 10 minutes away from West Yellowstone. 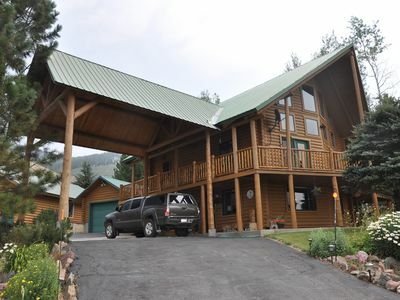 There are over 1000 VRBO sites in the "Yellowstone Country" category. 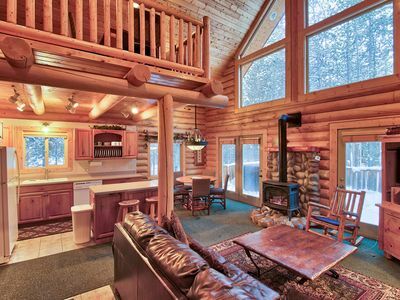 That means that Top of the World is in the top 1% for all VRBO listings in the Yellowstone region for convenience to the Park. It is only 12-15 minutes to the West Gate from Top of the World. 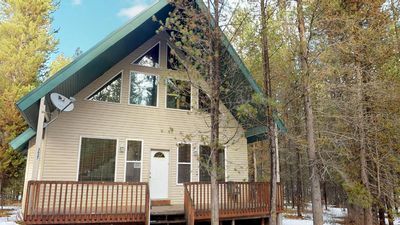 You get a world-class experience without being crowded into a West Yellowstone motel nor in close proximity to other subdivision homes. 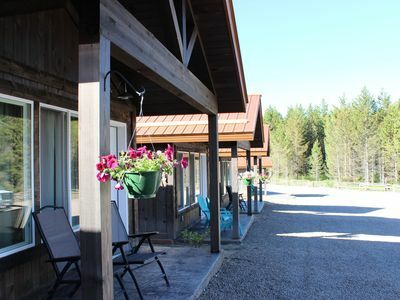 In addition, there are many incredible hiking and biking trails, boating, river floats, waterfalls, springs, ATV rentals, horseback riding, and wildlife viewing within a 20- minute drive of the cabin. It doesn’t get any better than this. High Mountain Adventure. 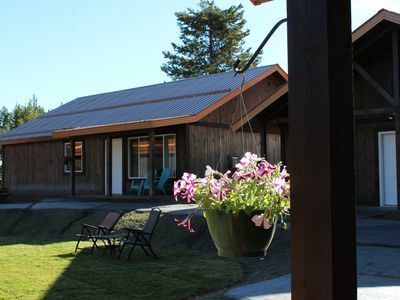 Grandpa's Little Retreat is the perfect size for your family gatherings. 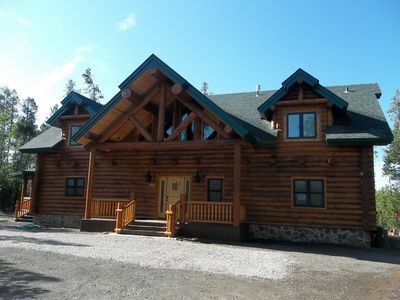 Trophy Lodge is perfect for those large family gatherings. New And Exclusive! Showcasing Summer 2018! 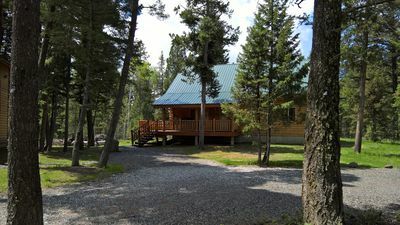 Three cabins for the price of one near West Yellowstone in Island Park!